Our list of must-visit tourist spots in Bulacan, a province in the Philippines close to Manila. If you are looking for a short weekend getaway close to Metro Manila, then you might consider going to Bulacan. The province is just the north of the National Capital Region making it a few hours ride from the capital. From historical sites, churches, and mountain adventures, Bulacan has definitely something worthwhile to offer you. To help you save time from an insurmountable search of the best places to visit, here are the top tourist spots in Bulacan. 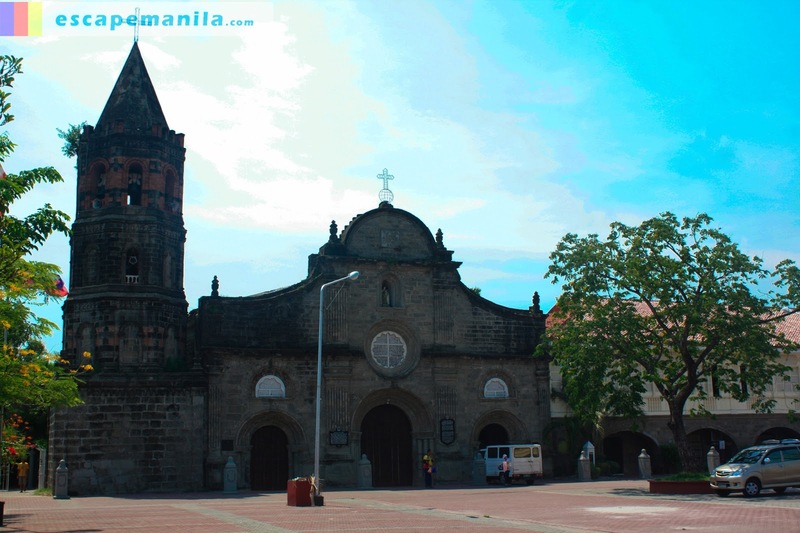 Located in Malolos City, the Barasoain Church or Our Lady of Mount Carmel Parish is a Roman Catholic church known for its significance in the history of the Philippines. The church was built during the 1880s and is one of the most visited tourist spots in Bulacan. Beside the church, you will find a mini-museum that you can tour. It was also said that if you go and join a celebration of mass in this church, you will be blessed. The Biak na Bato National Park is one of those places you must visit in this province to truly appreciate it. The park is famous for the caves that are spread out. One of the most visited cave is the Aguinaldo Cave that previously served as the headquarters of former president Emilio Aguinaldo. There are also two mountain treks that you can try, Mount Gola and Mount Manalmon. Rich in history and scenery, this is a tourist spot in Bulacan that you should not miss out. National Shrine of the Divine Mercy is one of the famous churches that you must visit when you are in Bulacan. The church is known for the Grotto of Our Lady of Fatima and the life-sized statues of the Stations of the Cross. It is also a place where you can reflect because of the solemnity found in the Adoration Chapel. Aside from these, they have a souvenir shop of religious items and a museum. Saint Andrew Kim Tae Gon is a Korean-born priest who stayed in Lolomboy, Bulacan to seek refuge. He is a secondary patron of the shrine, Sto. Cristo being the primary patron. The shrine offers a great view of architecture and scenery. The church, chapel, and walkways are breathtaking. You would not be able to stop taking pictures of what the place has to offer. Mount Manalmon is one of the two options for a trek when you get to Biak na Bato National Park. The hike can be challenging for beginners but relatively easy for those who have extensive experience in hiking. You can appreciate the view from three different viewing decks. The hike requires a guide since the trails are abundant with plants. Hold on to your binoculars and be ready with your cameras to snap a shot. The sanctuary is home to a great number and variety of birds. It is a good place for bird-watchers to visit. You can visit this sanctuary in Baliuag, Bulacan. It is important to be properly dressed for hot weather and bring packed food and drinks since there are no stores nearby. Whichever kind of adventurer you are interested in, you will surely love your trip to these tourist spots in Bulacan. Close to Manila, lots of lovely places, and amazing views to visit, what else could you look for? It is the perfect weekend vacation that you can simply enjoy. There are plenty of buses from Quezon City to many points in the province of Bulacan.